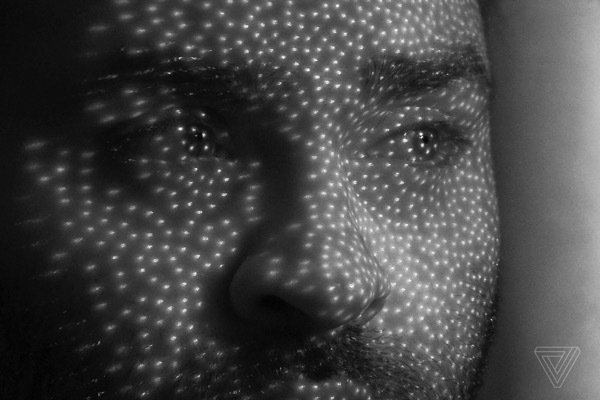 Shared by a user named throwawaybutnotrlly on Reddit, a cool video clip extracted from The Verge’s iPhone X review shows how the Face ID camera projects up to 30,000 IR “dots” on the face. Face ID is designed to confirm user attention, provide robust authentication with a low false match rate, and mitigate both digital and physical spoofing. 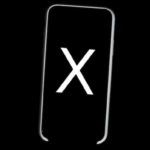 The TrueDepth camera automatically looks for your face when you wake iPhone X by raising it or tapping the screen, as well as when iPhone X attempts to authenticate you to display an incoming notification or when a supported app requests Face ID authentication. When a face is detected, Face ID confirms attention and intent to unlock by detecting that your eyes are open and directed at your device; for accessibility, this is disabled when VoiceOver is activated or can be disabled separately, if required. Once it confirms the presence of an attentive face, the TrueDepth camera projects and reads over 30,000 infrared dots to form a depth map of the face, along with a 2D infrared image. This data is used to create a sequence of 2D images and depth maps, which are digitally signed and sent to the Secure Enclave. To counter both digital and physical spoofs, the TrueDepth camera randomizes the sequence of 2D images and depth map captures, and projects a device-specific random pattern. A portion of the A11 Bionic processor’s neural engine—protected within the Secure Enclave—transforms this data into a mathematical representation and compares that representation to the enrolled facial data. This enrolled facial data is itself a mathematical representation of your face captured across a variety of poses. Check out the video embed below and share your thoughts in the comments.